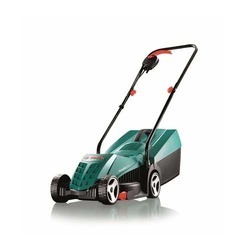 We are manufacturing and supplying Electro Lawn King with Motor in the size of 20". - Chassis: Pressed steel frame. - Electric motor: Single phase 1 H.P. - Transmission: V belt & roller chain. Designed to specific customer requirements such as sizes, damping force, mounting arrangement and strokes. - Oil Capacity – 650 m.l. Practical cutting area per hour: 15000 sq. fts. Cutting Capacity: 1" TO 4"
We bring forth for our clients an outstanding collection of Cylinder Lawn Mowers which is use to cut the grass of lawn and garden, our lawn mowers are perfectly tested by our quality experts upon numerous parameters with the set industrial norms. 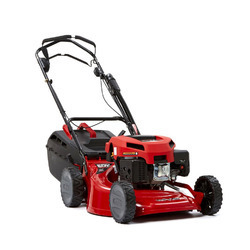 Also, our lawn mowers have spinning cutting blades which cuts the grass precisely.